Is it safe for me to begin an exercise program? Before beginning to read, please know that what follows is just a long-winded introduction to a post that featured me as an expert. You can can scroll down to the link if you wish. Though many of these early season ‘participants’ are one-timers, many are not. They are as I once was. This training plan, this particular race, might be their click. My life as a competitive athlete got started one day many years ago in Indianapolis. Someone dared me to run the Indy 500 half-marathon. I did, in basketball sneakers and a cotton tee-shirt. And the rest is history. But is it safe? People want to know: Am I okay to train—and race? It’s a good question. Can you just get out there and drill it? These are really tough questions, and clearly one answer does not fit all. Let’s try to frame the issue. On the hand, it is clear that regular exercise, and the fitness that it brings, does great things for health. No one would deny that. Regular and smart exercise is the best elixir. On the other hand, it is also well-known that starting a vigorous exercise program imparts short-term stress and inflammation, which, in the presence of heart disease, might be dangerous. And we all know heart disease can be silent. Sadly, but truthfully, sudden cardiac death can be the first sign of heart disease. Though sudden death during races is rare, it is always tragic. Questions are raised: Could it have been prevented? Here is yet another place where Medicine gets tricky. When clinical events are rare, like in this case, sudden death in new exercisers, it’s impossible to know what interventions or diagnostic tests make meaningful differences. (How do you prevent being struck by an asteroid—an exaggeration, but you get the point.) What’s more, even if we discovered moderate heart disease, it’s not entirely clear how best to treat it, especially when no symptoms are present. So you use clinical judgment. You balance the risk factors present in the patient, your knowledge of the limits of testing, the risks of over-diagnosis, against the knowledge that exercise is beneficial and that training for a race often induces a lifetime of living a healthy lifestyle. Enter social media. Free-range discussions, written in normal language, on matters of clinical judgment rarely happen in the medical literature. And when they do, the prose is careful, edited, and quite sterile. Social media is different. Though not peer-reviewed, the prose is practical, real and may I even say, normal. With that lengthy introduction, I want to point you to an incredibly useful post on pre-participation screening for heart disease. 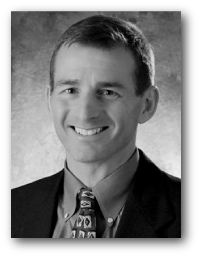 Dr. Larry Creswell, a heart surgeon, triathlete and prolific curator of useful information on heart disease and athletics has published yet another important addition to the knowledge base of screening athletes. I was delighted to participate as one of four experts that considered four different screening scenarios. It was flattering to be included with such lofty company. Other members of Dr. Creswell’s ‘ad-hoc’ expert panel were Dr. Jonathan Dresner, a noted academic professor of Sports Medicine and NEJM-author, Dr James Beckerman, Portland cardiologist, team doctor of the Portland Timbers, and noted cardiac-screening activist, and Dr. Philip F. Skiba, Program Director for Sport and Exercise Medicine at The University of Exeter, UK. The title of the post is Ask the Experts: Pre-participation Heart Screening for Adult Endurance Athletes. As always, I hope you find it useful. You probably already know this, but there’s lot of other great stuff over at the Athlete’s Heart Blog. This is a wonderfully illustrative post that surpasses the prose of pure “guidelines” by asking for commentary from 4 renowned clinical cardiologists who each have special expertise in the field of sports medicine/training. Hard to imagine assembling a better group of experts to pose these 4 theoretical case scenarios to. That said – the MOST USEFUL point I learned from reading the responses of our esteemed colleagues is HOW VARIED THEIR ANSWERS ARE! The “themes” and overall assessment of likely risk by each of the 4 are comparable (as I expected they would be) – but the specifics in terms of what they would actually do with each theoretical patient are not the same. The obvious message: RISK ASSESSMENT of the individual about to undertake a vigorous physical training program to compete in an endurance event is ESSENTIAL – but there seems to be NO CONSENSUS as of yet in precisely how to go about this. THANK YOU so much for this insightful and helpful discussion! P.S. I found my responses to these 4 theoretical scenarios somewhere in between that of the 4 experts. That said – lack of a completely unified approach by the experts lends credence to alternative views. That said – RISK ASSESSMENT of each individual case remains the key message – with room for some flexibility in determining specifics of evaluation depending on case characteristics and personal preferences integrated with frank patient-clinician discussion of findings. You are leveraging Social Media which us docs need to do, to bring issues like this to the light. Not there yet with mainstream, but heading that way. As I said in my comment on Larry Creswell MD blog, need to go mainstream for sports docs, athletic trainers, etc. to see. Now, we are making progress with doing this with Social Media, because anyone can get access if they have a smartphone, etc to these valuable discussions, and hope more people participate. Now, sure no consensus, but my take is to screen the human race for cardiac arrthythmias. Hell, with that damn AliveCor, which Wes seems to like, , I could screen my large apartment building Miami for one-lead clues to someone having an arrthythmia, and I would just charge a Evian water or handshake, before sending suspicous ones for an EKG. Screen ALL high school students with a Smartphone and AliveCor. 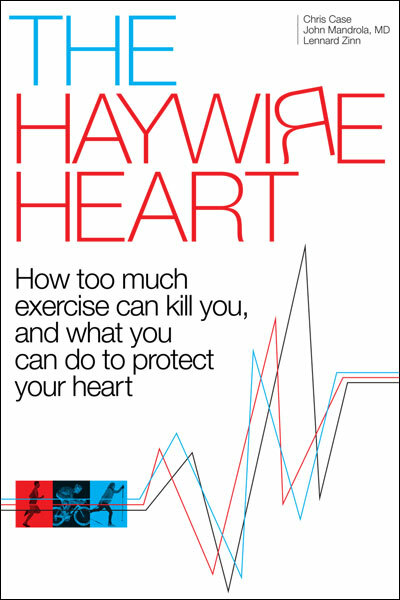 More people die from lack of exercise, than sudden cardiac death. Not only cardiac problems, but other health-related issues. Sure, test the hell out of high risk. But, do not err on the side of caution. Lawyers will love that advice, but let’s face it, if we screen everyone for arrhythmias, I bet sudden cardiac arrests would be even more rare than now.. (maybe you have the numbers for those sudden cardiac death caused by Arrthythmias). Finally, I will do my best to bring issues like this to attention, and have put you, Larry, and Wes as a few of the “Best Cardiology Blogs” on my <a href="http://www.internetmedicine.com"website, but don’t let it go to your head, keep the issues coming.